Peskov said the communications watchdog was "taking action on the basis of a corresponding court ruling"
MOSCOW, April 16. /TASS/. The Kremlin has warned against playing "hide-and seek and catch-up" following the blocking of the messenger Telegram. “It is not a game of hide-and-seek or catch-up," Kremlin Spokesman Dmitry Peskov told the press about users’ attempts to bypass the court-sanctioned blocking of the online messenger service. Peskov said the telecom and media watchdog was "taking action on the basis of a corresponding court ruling." When asked about the effectiveness of such measures, he said it was too early to judge. "It is obvious, though, that these measures will be enforced," he stressed. "The court’s decision is being acted upon." 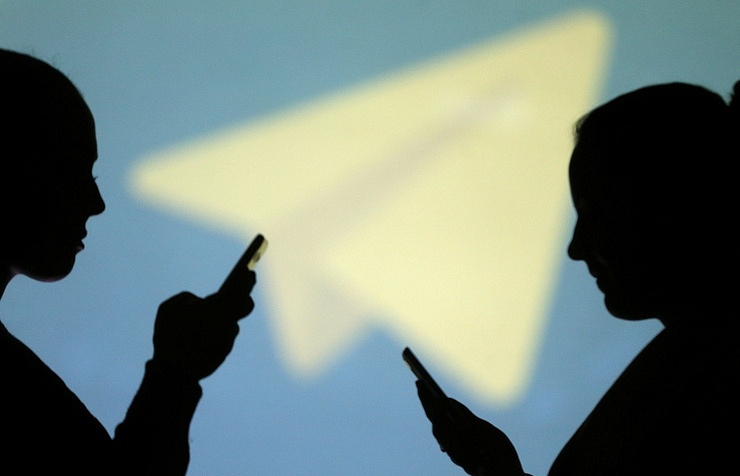 The Federal Service for Supervision of Telecom, Information Technologies and Mass Communications earlier received an order from Moscow’s Tagansky Court to restrict access to all products by the cloud-based instant messenging service, Telegram, on Russian soil. The corresponding instructions were dispatched to telecommunications operators. On April 13, Moscow’s Tagansky court sustained the watchdog’s request to block access to Telegram in Russia for its refusal to disclose to the Federal Security Service (FSB) its encryption keys required for reading users’ messages. The lawsuit by federal watchdog was filed on April 6.